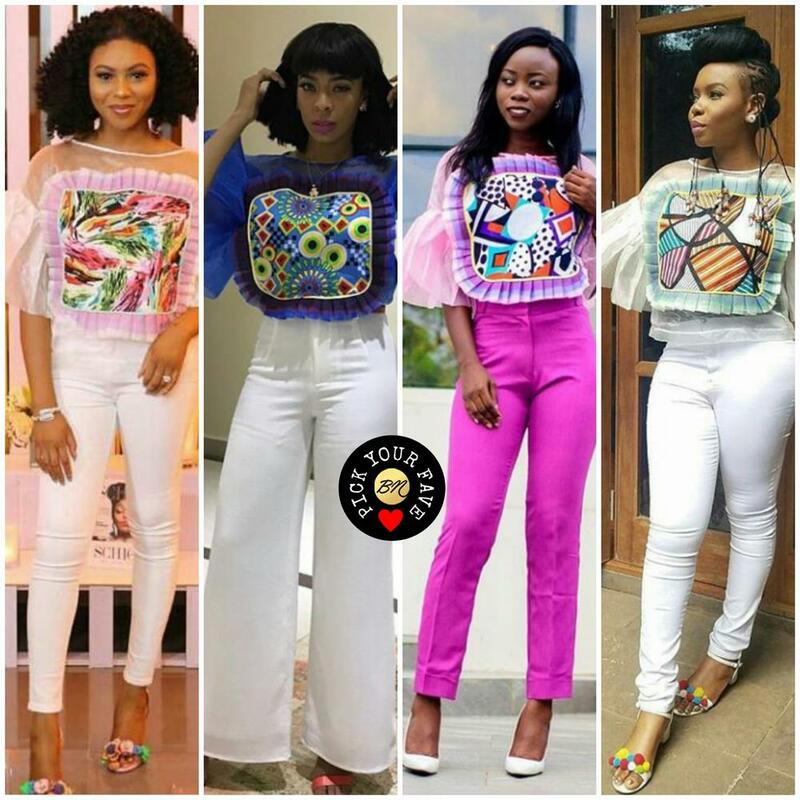 This edition of BN Pick Your Fave features media personality Stephanie Coker Aderinokun, Nigerian musician Yemi Alade, fashion blogger Sola Onibokun and BBNaija finalist TBoss in ‘The Belois Candy Top‘ by Nigerian designer Belois Couture. 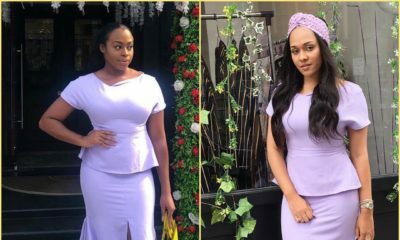 The four ladies went with four different designs of the top, styling it in a way that speaks best of their style. 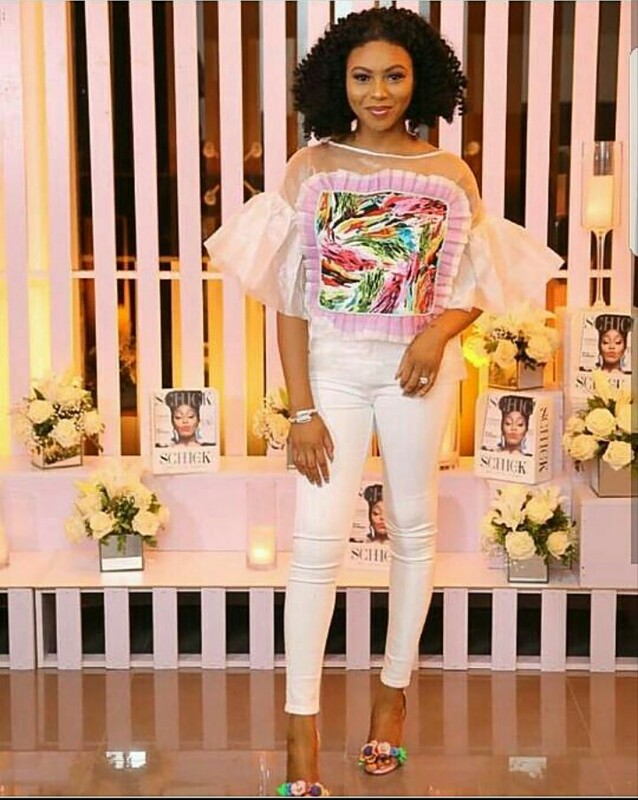 Stephanie Coker pairedh her top which has pink detailing with white jeans and baby pink sandal heels with multicoloured flowers and a silver cuff to complete her look. 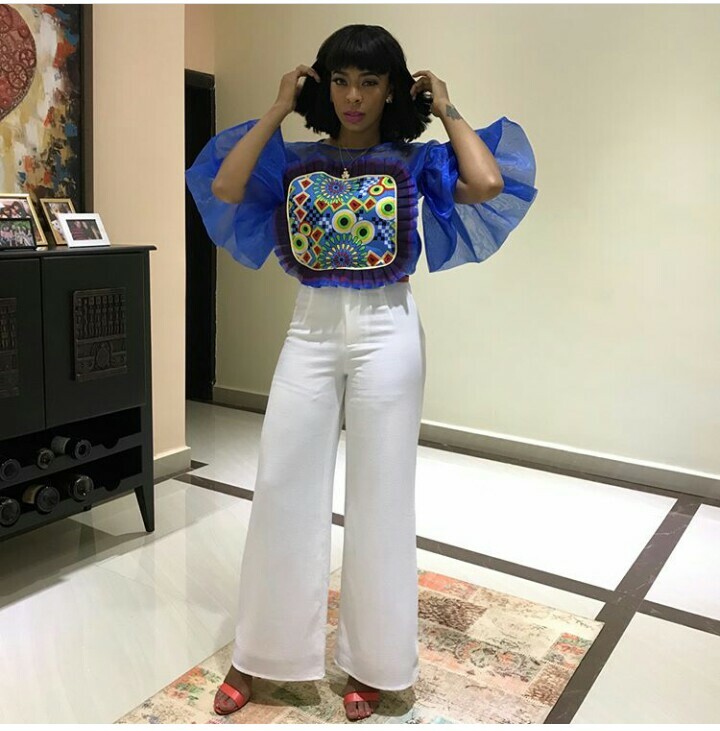 BBNaija finalist TBoss went with the blue candy top paired with white pants and red sandal heels. 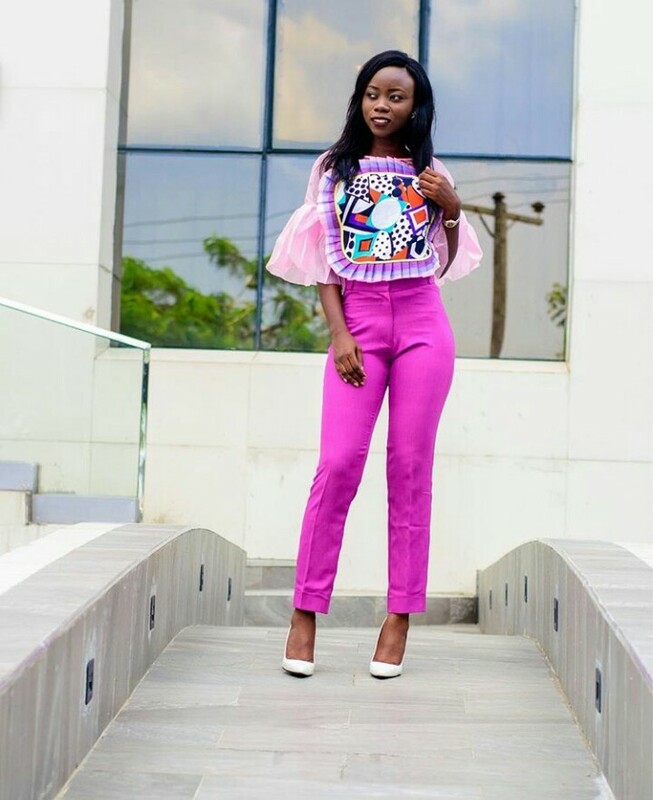 Style blogger Sola Onibokun went with the pink version of the candy top by the designer. styling her top with pink pants and white pumps. 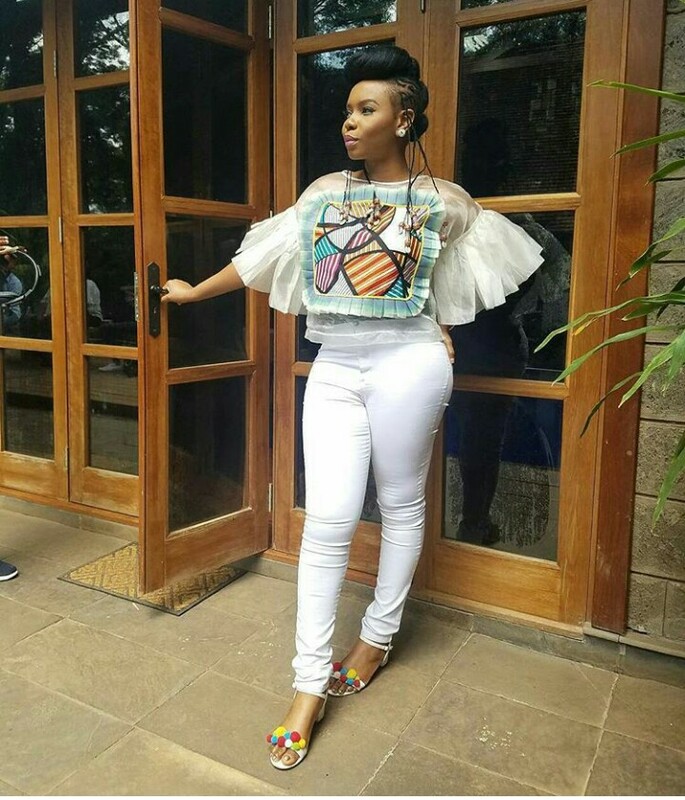 Yemi Alade kept it simple and casual in an all-white ensemble. She paired her white candy top with jeans and sandals with multicoloured fur balls. This Sola babe did it for me. Yemi Alade made my day. Simple & sweet. 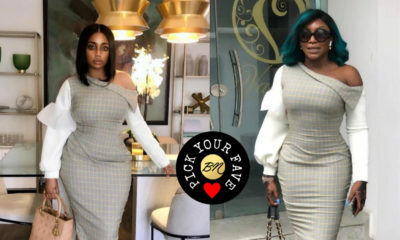 I personally do not like the top but it looks good on Sola. TBoss that was so hated during the BBNaija show seem to be the only contestant in ads and all that. All publicity na publicity good or bad. The girl in the middle! BN do you have a link to Sola’s blog or insta? Never heard of her. Sola Onibokun did it! Followed by Yemi. I don’t know what Tboss was thinking. Peach sandals with white pants that have a really bad fit and a blue blouse? Choi. Mama Africaaaaaaaaaa,i wish she was wearing heels, but head to toe…. 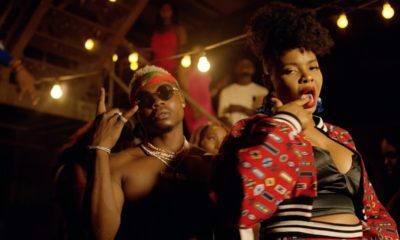 Yemi Alade. N so i sit here wondering..how does such an ugly blouse get so much attention…hehee. wellll….i think it looks d least ugly onnn Sola ? Soladit 100%. You go, Solly-D! Stephanie it is for me, I don’t understand Tboss pant.